Do you have a special somepawdy in your life? Fur-tunately, Philly and the surrounding region is pupper-friendly, filled with all kinds of pet-friendly places and events for you and your fur-baby! Whether you’re a lover of dogs, want to adopt one or are lucky enough to call one your best friend, here’s a list of the most pawsome spots to head to this season! Show us how much fun your pup is having on Twitter, Facebook and Instagram @Phillyfunguide! Check out some of these featured events below, and as always, if you or your organization would like your event featured on PFG, head over to our event submission page and let us know! Join the Association for Public Art (aPA) for a Dog Walk & Public Art Tour as part of aPA's #ArtPup campaign! We invite you and your pup to get outside and meet other dog-lovers while seeing some of Philadelphia's renowned collection of public artworks. We'll begin at Iroquois Park (24th and Pennsylvania Avenue) and explore the area around the Philadelphia Museum of Art and Kelly Drive. 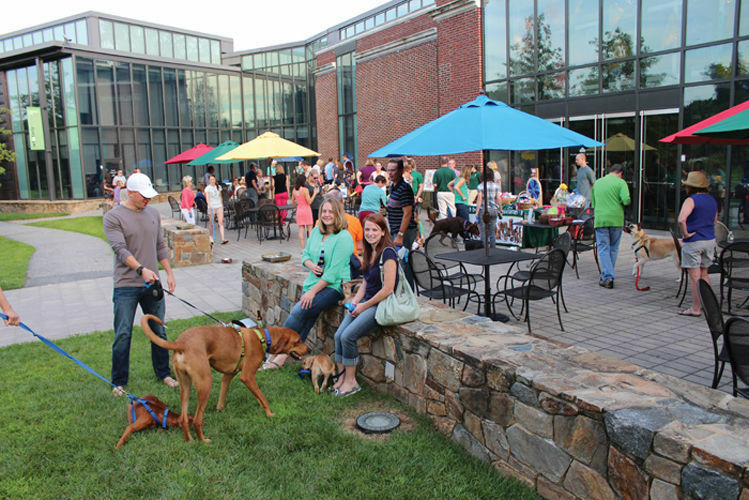 Head to the Delaware Art Museum this summer for dog-friendly happy hours filled with live music, drink deals, art, and of course, puppers! These summer happy hour specials are held every Thursday from 5 p.m. to 7:30 p.m. starting on May 24 and running through September 27. Dogs are welcome outside on the Terrance and in the Copeland Sculpture Garden. Grab your family and four-legged friends and enjoy this popular series! Forget BYOB, at Square 1682 this summer, it’s BYOD: Bring Your Own Dog! That’s right, every Saturday and Sunday this season you can bring your furry friend to brunch for delicious doggy treats and drinks (for the puppy parents, of course!) Plus, for every purchase of a meal or cocktail, a dollar will be donated to the Pennsylvania SPCA! Want to know when your favorite events are 1/2-price? Then sign up for our weekly Funsavers email! Your super fun Top Events THIS WEEK! Need some great new ideas for dates in and around the city? This week's top date ideas!